Deloitte Malta's well-established tax practice supports multinationals with cross-border activities through Malta as well as significant other national client groups operating in the Maltese economy and national authorities and regulators. 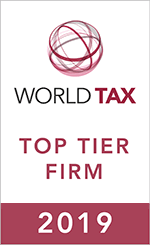 With seven tax partners and over 90 tax professionals, it remains the largest tax practice in Malta. The tax practice is renowned locally for its strong international tax focus and incorporates a Business Tax team, a Mergers & Acquisitions team, three Private Client teams, a VAT group, and an Expatriates Employers group. It also has a specific multidisciplinary team for Malta's unique Individual Investor Programme. It also adopts a specialist industry sector approach for iGaming, Shipping, Aviation, and Real Estate transactions. The tax practice works alongside a number of other Deloitte member firms, typically in the client's head office jurisdiction, to seamlessly support global and regional complex transactions. Amongst its tax professionals in Malta, there are a number of expatriate tax specialists from Russia, Ukraine, Italy and Spain. These professionals have re-qualified with a Malta tax diploma and combine their newfound knowledge with their home jurisdiction background to support specific important client markets. During the course of 2017, the Malta tax practice continued a program of knowledge-sharing road shows, client visits, and Malta tax presentations in Europe, the USA, Middle East, Russia, Ukraine, China and Hong Kong.